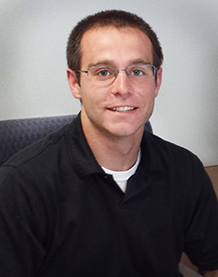 Dan’s career in community banking began at the age of 12 when he mowed grass for his local hometown community bank! He later applied for a position inside a bank and began his lending career in 1999. Combined with his ability to develop trust, build positive relationships and make new connections, Dan’s objective is to provide an exceptional experience for each customer. A Zig Ziglar quote Dan lives by is, “honesty and integrity are absolutely essential for success in life – all areas of life,” which can be seen in his interactions with customers and colleagues. Dan is highly involved in supporting his local community, having served in leadership positions in the local Lions Club, Community Development Authority, School Board, Rotary Club and Excellence in Education and Scholarship Fund. 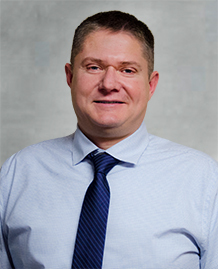 He continually seeks ways to develop new skills by actively contributing to industry associations including the Wisconsin Bankers Association, Independent Community Bankers of America and the Federal Home Loan Bank Mortgage Partnership Finance Advisory Council. 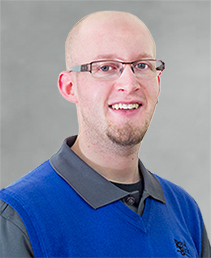 He earned his bachelor’s degree from UW-Eau Claire and is a graduate from the Graduate School of Banking. When he’s not focused on serving customers and his community, Dan is a loving husband and devoted father of two boys. He enjoys hunting, fishing, hiking, running and playing sports with his boys and dedicates time to officiate high school basketball. He is a serious Wisconsin Badgers fan and can be found cheering on the Packers during the season. Growing up on her family’s beef and grain farm in Southwest Wisconsin, Glenda was destined to serve the agriculture industry. Upon graduating from UW-Platteville with a degree in business agriculture, Glenda pursued her passion, leading her to a rewarding career in Ag lending. In addition to serving as president of Royal Bank, together with her husband, Dave, and sons, Cole and Eric, Glenda has continued the tradition her family started and is the fourth generation to run the beef and dairy operation she grew up on. As a proud Southwest Wisconsin resident, Glenda is highly dedicated to giving back to her community, serving as a club leader for Cobb Busy Badger 4-H club, a Cobb First Responder and a Montfort EMT. She has served as financial secretary, board chairman, pastor parish chair, Sunday school teacher and youth leader of her church. When she’s not at the bank or donating her time, you can expect to find her harvesting the bounty from her husband’s vegetable garden, planning her next skiing vacation in Vail or fulfilling her goal to visit all 50 states. 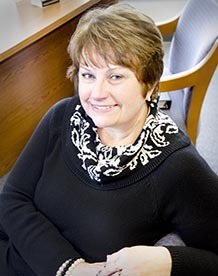 Tammy began her community banking career in 2001 as a loan processor. Her diverse experience in lending including processing, underwriting, credit analysis and lending has contributed to her deep understanding of the loan process. She enjoys building a personal relationship with customers to better understand their situation and suggest the programs or products that best fit their goals. Tammy specializes in real estate, commercial, small business and consumer lending. As a River Valley area native, Tammy enjoys the opportunity to give back to her community through volunteerism and community outreach. She also enjoys spending time with her fast growing children and with family and friends. Having been raised in the area, Tiffany is excited to be a part of helping the Mauston and New Lisbon communities thrive. Her experience as a local small business owner and in finance brings a fresh perspective to the community banking landscape. Her favorite things about lending are watching people’s dreams come to life and building relationships with people in the community. In addition to banking, Tiffany also owns and operates TLA Photography. She has always enjoyed giving back to the community and uses her photography background to help raise funds for local organizations including Touched Twice Clinic and the New Lisbon Library building project. Tiffany also coaches girls’ basketball at New Lisbon. Tiffany and her family live in New Lisbon. When she’s not behind the camera or helping customers at the bank, you can find her cooking up something new in the kitchen, enjoying her favorite season on the lake or at the beach or spending time with her family and friends. 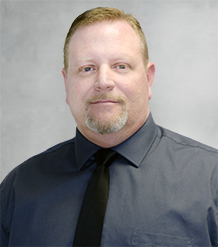 Brian began his banking career in 1993 as a teller and has been in lending since 1998. His depth of experience and eagerness to foster positive relationships contributes to his passion of helping people grow and attain their goals. Brian enjoys the opportunity to help customers locally and specializes in real estate, consumer and small business lending. Originally from the Richland County area, Brian currently lives in Hillsboro with his family. When he’s not helping customers, he can be found making memories with his family, cheering on the Badgers and Packers and traveling the state. When you see him, be sure to ask about his hidden roller skating talent! 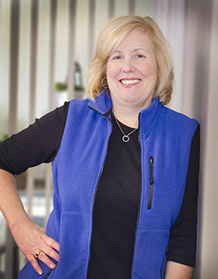 Having been in the community banking industry since 1980 and lending since 1996, Joy has a deep understanding of the financial services industry. She enjoys helping customers reach their financial goals, meeting new people and helping her community succeed. She’s held leadership positions in community organizations, having served on the Cassville Public Library board, Cassville Car Cruise Club and St. Charles Fall Festival board and has helped facilitate local benefits and fund raisers. Being born and raised in Wisconsin, Joy is a natural Packer, Badger and Brewer fan and can be found cheering on her favorite teams all year long. In the summertime, she enjoys boating on the Mississippi River and spending time in her vast backyard garden. Brandy has been an asset to Royal Bank since 2003 when she started as a part-time teller. She served our country in the U.S. Navy prior to joining the Royal Bank team and developed discipline and focus that helped her achieve her goal of becoming a loan officer for the bank. She also serves as the primary mortgage underwriter, so she has a deep understanding of our loan programs to help customers achieve their financial goals. Brandy is also a motorcycle enthusiast and can be spotted riding her cycle with her husband when the weather is nice. When she's not pampering her customers or riding her cycle, you can find Brandy spending time with her husband and three children, knitting or preparing for the next Tough Mudder. 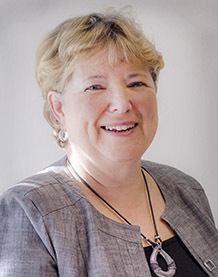 Barb has spent most of her career in the community banking industry having started in banking in 1975 as a loan secretary – back when all loan documents were typed with a typewriter! She learned a lot about lending in this position, and eventually became a loan officer. She enjoys building relationships with customers and working in the community, having served on the Iowa-Grant Music Parents Club and the Iowa-Grant Education Foundation. Her favorite time of year is fall when she can enjoy cooler temperatures and admire the colorful leaves that cover her hometown area in the driftless region of Southern Wisconsin. True to her Wisconsin roots, Barb is an avid Packer and Badger fan and can be found cheering them on all year. Josh hails from the Southwest region of Wisconsin where he currently resides. He has a unique understanding of both the agriculture and commercial financial services industries, having grown up on his family’s dairy farm and earning a degree from Southwest Technical College in business finance and marketing. He is also a graduate of the Graduate School of Banking at UW-Madison. Josh has worked in the community banking industry since 2007 and specializes in agriculture, commercial, real estate and consumer lending. “One of the most rewarding things about being a lender is helping friends and neighbors achieve financial success and watching our local businesses grow”. 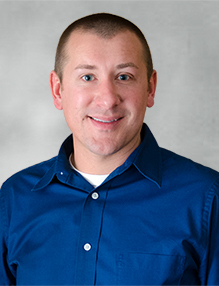 Josh has always enjoyed being a part of the community and regularly donates his time to local organizations, including the Iowa County Cattleman’s Association, the Dodgeville Chamber event committee and Iowa-Grant SnoCats. Being a part of the SnoCats, Josh enjoys snowmobiling in the winter. During the summer months, you can find Josh helping at his family’s dairy farm or spending time on the water. 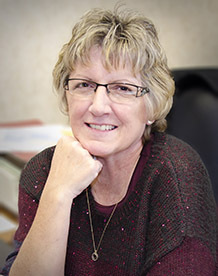 Having been in the community banking since 1979, Barb has a deep understanding of the financial services industry. Her bright personality and positive demeanor help her achieve her passion of helping people both professionally and through volunteer service. You can often find her helping out in the community including the food pantry, Cemetery Board, Santa Comes to Town and Vets Roll. Her favorite time of year is fall when she can enjoy the fall colors and crisp air. She also enjoys (and is very talented at) quilting, card making and spending time with family. 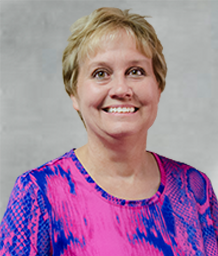 LuAnn’s community banking career began in the teller line and she now serves as branch manager and loan officer at the bank’s Dickeyville branch. She began her career with Royal Bank after receiving a surprise phone call from her former co-worker and now president of Royal Bank, Rick Busch, with an offer she couldn’t refuse. 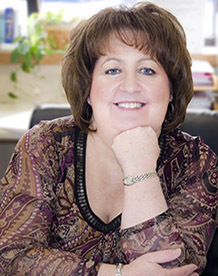 With her customer-first mentality, LuAnn most enjoys working for an organization that is very customer conscious. She gets her greatest joy from helping customers reach their goals and succeed financially. 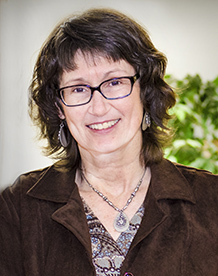 LuAnn enjoys giving back to her community, having worked with the Grant County Habitat for Humanity, served on the Potosi/Tennyson Chamber of Commerce Board and Chamber Housing Committee and is actively involved in fund raising and acting as a Eucharistic Minister at her local church. When she’s not reaching out to customers or helping in her community, LuAnn enjoys hopping into her convertible and driving around the country with her husband. So far, they have been to the Badlands and Black Hills, Niagara Falls and Toronto, St. Louis and Lake of the Ozarks, the Blue Ridge Mountains, all around the upper Midwest and, of course, visiting their three kids and four grandchildren. Nicole began her community banking career with Royal Bank in 1999 as an account representative and quickly grew into her current role as loan officer and branch manager for the bank’s Gays Mills branch. As a graduate of the Graduate School of Banking at UW-Madison, Nicole has a deep understanding of the financial services industry and passion for helping people reach their financial goals. She specializes in consumer, agriculture, business and real estate lending. When she’s not assisting customers, Nicole can be found giving back to her community by serving on the Ocooch Mt. Rescue Squad, helping to organize the food stand for North Crawford High School and the American Legion baseball team. She also enjoys sitting by an open campfire in the summertime, warming up in front of her fireplace in the wintertime, cheering on the Badgers, Packers and Brewers anytime and spending time with her two children. Jeff grew up on his family’s large dairy and beef farm in central Wisconsin. He was a typical business owner’s kid, working in many parts of his family’s farm, real estate, construction, and entertainment businesses. After graduating from the University of Wisconsin-Madison, he moved to Lancaster, where he was a loan officer with the Farm Service Agency (FSA). 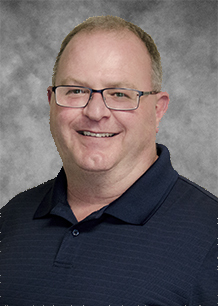 Jeff’s career progressed and he eventually was in charge of all FSA lending policy in southern Wisconsin, helping beginning, expanding, and modernizing farmers achieve their financial goals. In 2014, he joined Royal Bank as vice president, primarily focusing on agricultural and commercial lending. Customers always come first with Jeff. Jeff is an integral part of his community, serving on the Lancaster Area Chamber of Commerce, the City of Lancaster Planning Commission, and the Southwest Opportunities Center Inc. greenhouse advisory board. He is also active in industry associations, serving on the national Independent Community Bankers Association’s Agriculture and Rural Affairs Committee and the Wisconsin Bankers Association Ag Bankers Board of Directors. In his free time, Jeff can be found cheering on the Badgers, working on his business properties in the area, exploring and keeping up with his twin daughters and their younger sister. 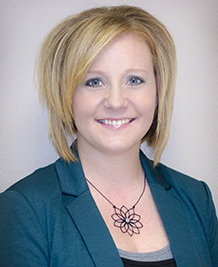 Jessica began her community banking career in 2000 as a part-time teller with Royal Bank while working toward a degree in business administration and finance at Southwest Technical College. During this time she developed a strong passion for banking and finance, which was fueled by mentors who led by example and showed her the thrill of helping customers achieve their dreams. In 2014, Jessica earned her degree from the Graduate School of Banking at UW-Madison. 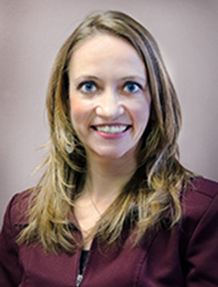 She serves as branch manager and loan officer at the bank’s Lone Rock branch, specializing in real estate, consumer, agriculture and commercial lending. Although Jessica hails from Wisconsin, she dislikes the cold winters but admits to staying for the cheese! On the weekends you can find her cooking and spending time with her family, fishing, golfing, going to tractor pulls or riding motorcycles. She enjoys volunteering in her local communities and is a member of the Auxiliary, Walk with Grace and Village of Plain Finance Committee. What many people don’t know about Jessica is that she earned her Girl Scout Gold award for years of membership and community service. 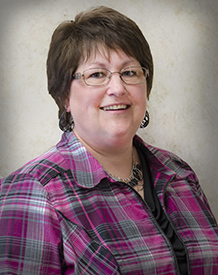 Mary has been in the community banking industry since 1992, starting as an administrative assistant with Royal Bank. Since that time she has been in credit services and now serves as a loan officer at the bank’s Elroy branch, specializing in agriculture, real estate and consumer lending. Mary enjoys giving back to her community having served in leadership positions with Cub Scouts, the church council and teaching Sunday School. When she’s not helping customers at the bank, you can find her doing chores at her family’s dairy farm, which has been in operation since the late 1800s! Between helping customers, volunteer service and spending time with her family, she can be found riding motorcycle or four wheelers or cheering on the Brewers, Packer and Badgers! 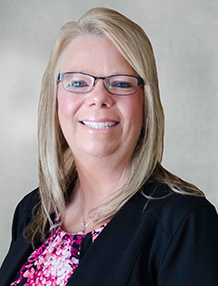 As an experienced industry professional, Terri has been in community banking since 1996 starting as a teller and now serving as loan officer and branch manager at the bank’s Adams branch. When meeting Terri, you will quickly discover her passion for people and customer-driven work ethic. She stays active in the community and currently serves as Town Clerk for the Town of Coloma. With a strong family-focused mentality, Terri enjoys working for Royal Bank because of the family-centered atmosphere. She enjoys spending time with her husband of nearly 30 years, her two children, son-in-law and grandchildren. True to her Wisconsin roots, Terri is an avid Badgers, Packers and Brewers fan and can be found cheering them on year-round. 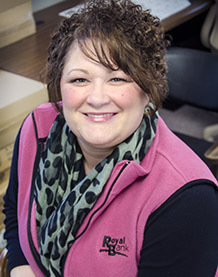 A Mauston resident and native, Becky serves as vice president and branch manager of the bank’s Mauston branch. She has been in the community banking industry since 1994 and truly has a passion for helping people. She has always enjoyed service to her community, most recently serving on the Mauston Chamber of Commerce and many organizations within the Mauston School District. When she’s not out in the community or helping customers, Becky has been known to compete in Tough Mudder challenges, run marathons and participate in triathlons. She also speaks Spanish and lived in Seville, Spain during her studies at UW-Whitewater. If you asked her family and friends, they would say she is knowledgeable, genuine, honest and helpful. 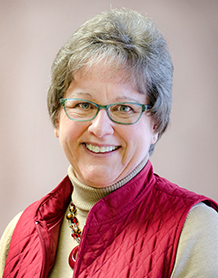 Sherry’s path to community banking began when she moved from eastern Wisconsin to the most beautiful part of the state - the Driftless region. 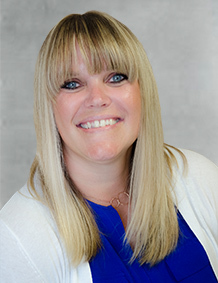 Since that time, she has held various positions in the banking industry including teller, loan processor and consumer lender and now serves as loan officer and branch manager at the bank’s Hillsboro branch. 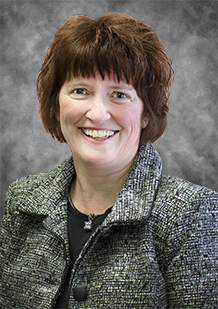 Through her schooling at UW-Oshkosh, Western Technical College and an array of Wisconsin Bankers Association lending schools, she is well versed on residential, agriculture and commercial lending. Sherry’s inspiration comes from her favorite author, Henry David Thoreau, who taught her to “live deliberately”, which she exemplifies in her own life and helps customers to do the same by helping them become financially successful. She has a passion for sustainable farming and together with her family, has raised sheep, horses, beef, poultry, organic fruit and organic vegetables. 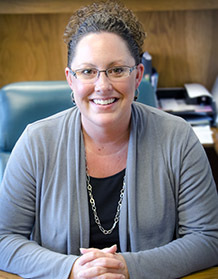 Sarah is active in the community and currently serves as a member of the Lancaster Jaycees. As a Wisconsin native, Sarah enjoys cheering on the Badgers and Packers, and even has two dogs named Jordy and Raji! In her spare time, she enjoys spending time with her husband, Travis, and their two children. Having grown up on her family’s rural Wisconsin dairy farm, Brenda has been involved in the agriculture industry almost all her life. 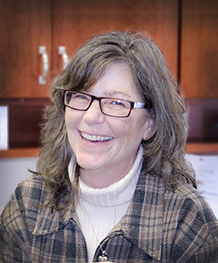 Through her experience with the USDA Farm Service Agency and background in running a beef operation and repair business, she is highly knowledgeable about the agriculture and financial services industries. 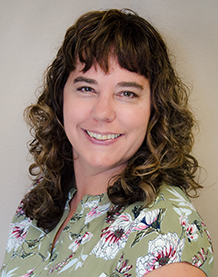 She enjoys the localized service she can provide to customers and specializes in residential, consumer, small business and agriculture lending. Brenda has enjoyed giving back to the community through her involvement as secretary and treasurer for the Blake’s Prairie Junior Fair in Bloomington and helping with the Grant County Fair. When she’s not in the community or helping customers, you can likely find Brenda at home working on the farm. Jim was born and raised on his family’s dairy farm in Bloomington. Upon graduation from UW-Platteville in 1971 with a degree in Business & Economics, Jim worked for Theisen’s Farm & Home store in Dubuque, IA. He was employed at John Deere for six years before entering the banking industry in 1983 at Badger State Bank in Cassville. 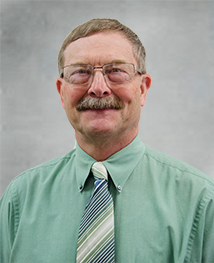 Jim has been a loan officer in Cassville for 32 years. Jim and his wife, Laurie have been married for 44 years. They have 5 children and 15 grandchildren, with number 16 on the way. They spend their free time attending their grandchildren’s activities as well as boating, fishing and going to Badger football and basketball games. Jim is an avid golfer (not a good golfer, but an avid golfer). 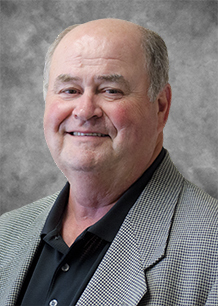 Jim has been active in the community, serving on many organizations such as the Cassville Rescue Squad, Elderly Housing, Cassville Tourism, Cassville Economic Development, Cassville Business Club and Grant Regional Health Center board of director. Luke started his community banking career in 2006 with Royal Bank. He’s held various roles in the Bank including customer service representative, escrow analysis and loan assistant. Luke truly enjoys the opportunity to build connections and relationships with customers and working to help customers reach their financial goals. He believes, “it’s not what you do, but how well you do it”, which is obvious in his quality of work. As a Hillsboro, WI native and resident, Luke is passionate about giving back to the community having served as a Sunday School teacher at his church, serving on the Hillsboro Excellence in Education and Scholarship Funds board and the Rolling Hills Sportsman’s Club. In his spare time, you can find Luke cheering on the Packers, Badgers, Iowa State Cyclones and UNI Panthers throughout the year or catching local beer tastings and attending concerts as they come up. With her passion for helping people succeed financially, being a community banking lender is a natural fit for Marci. Upon graduating from UW-Stevens Point with a degree in business administration, she’s been helping people find fitting financial solutions through lending and specializes in real estate, commercial and consumer lending. She serves as loan officer and branch manager for the bank’s Oxford and Endeavor branches and has always enjoyed contributing to her community, currently serving on the Oxford Area Chamber of Commerce and Oxford Lioness Club. When she’s not focused on serving customers, Marci can be found watching her daughter’s sports teams, cheering on the Packers or cooking. Her favorite time of year is summer so she can spend time outside boating, fishing, playing volleyball and swimming. Experienced in lending, community banking and financial management, Jackie has the knowledge, skills and drive to help customers achieve their financial goals and dreams. She takes her customer’s goals very seriously and works closely with them to help attain financial success. As past-president of the Spring Green Area Chamber of Commerce and a volunteer with the organization, Jackie enjoys connecting with the community through volunteer service. Being an import to Wisconsin from the south suburbs of Chicago, Jackie moved to the Spring Green area for the peaceful atmosphere and beauty of the area. She most enjoys fall for the beautiful colors and can be found spending time on the river with her family in the summertime and baking, reading or just trying to stay warm in the wintertime. She’s also a history buff and a classic car enthusiast. Jon hails from Potosi, WI where he currently resides. Growing up on his family’s dairy farm where he continues to help out, Jon stays up-to-date on the agriculture industry and has a unique understanding of the needs of local farmers and producers. Earning his degree in Agribusiness and Animal Science from UW-Platteville, Jon was an active member of the agriculture community on campus and has experience in seed sales. When he's not helping customers, Jon can be found feeding his passion for agriculture by milking cows, planting crops, harvesting hay and harvesting crops on his family’s dairy farm. He also enjoys four-wheeling, camping, playing in local summer volleyball leagues and staying busy outside. 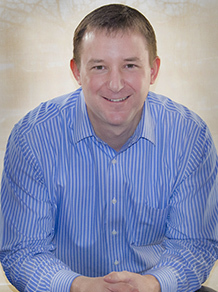 Chris began his community banking career in 2008 conducting loan reviews. Since that time, he has taken advantage of the many opportunities a banking career has to offer, including lending, compliance, IT and management. His interest in lending came from his desire to help people and the community that he lives in. He strongly believes that there is always an opportunity to help someone through a situation - good or bad - or to be a part of making a dream a reality. Chris is very active in the Viroqua community, including serving as board member and treasurer for Vernon Trails, Inc., spearheading the creation of Viroqua’s first disc golf course and serving on the Vernon Memorial Healthcare Foundation board. Chris is also Vice President of the Viroqua Basketball Club, having served as a coach for the club and for the Viroqua Middle School. Additionally, Chris was honored to have received the Volunteer of the Year award from Viroqua Chamber Main Street and also contributed to the efforts to establish the first dog park in Viroqua. Originally from Minnesota, he moved to Wisconsin for school and stuck around for the beauty, the people and – of course – the cheese. When he’s not busy volunteering, he enjoys spending time with his wife, Emily and their daughter, Lily. He’s also a talented cook and enjoys cheering on the Badgers and Packers. 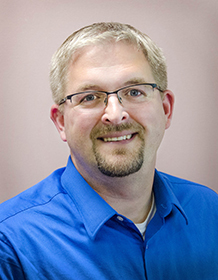 Chris has a passion for serving the Viroqua area and is eager to explore new opportunities to make the community a better place to live, work and play. 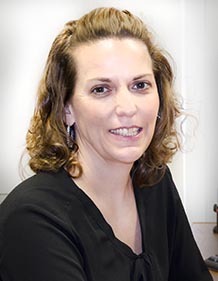 Amy began her community banking career in 1993 as a teller and continued to learn new skills to become a lender in 2000. She joined Royal Bank in 2001 when the bank’s Dickeyville office opened and specializes in real estate and consumer lending. She most enjoys making new connections with customers and helping their dreams come to fruition. When she’s not working with customers, Amy enjoys watching her kids’ sporting events and cooking or baking in her kitchen. She most enjoys fall when she can admire the changing colors of the trees and look forward to her favorite holiday, Thanksgiving. Pat started his career in community banking in 1974 serving the Cazenovia and surrounding areas. His depth of experience, positive demeanor and ability to develop trust contributes to his passion for helping people attain their financial goals. Pat specializes in all facets of lending including agriculture, business, mortgage and personal. In addition to banking, Pat also runs a farm outside of Cazenovia and previously had a cow/calf operation with his wife Jean and sons Nathan and Nicholas. While the farm certainly keeps him busy, Pat has always enjoyed giving back to his surrounding community. He has been actively involved in the Richland County 4-H programs and the Richland County Beef Producers for over 25 years and is currently working with the Weston Silver Eagle Foundation to help raise funds for the local community. Scott’s community banking career began after college when a family member suggested that lending would be a good fit with his personality and interests. With over 25 years of banking experience behind him, Scott’s leap of faith has served him well! His personal philosophy has been to provide the same customer experience that he would expect when applying for a loan. He prides himself on providing individualized attention to each customer and on building relationships to help people succeed financially. As a Wisconsin native, Scott can be found cheering on the Packers, Badgers and Brewers all year long. True to his Wisconsin roots, he enjoys exploring new spots for Friday night fish fry’s with his wife, Kellee. Between helping customers and exploring fish fry’s, Scott enjoys hunting, fishing, spending time with family or riding on his motorcycle. Jeri was offered the opportunity to join the community banking industry at a young age and attributes her beginnings to being in the right place at the right time. As an experienced lender, Jeri thrives on helping people improve their financial health and achieve their financial goals. Combined with her ability to foster positive relationships, her willingness to learn and her gift for developing trust, Jeri leaves a lasting impression on her customers and colleagues. She currently serves as senior vice president and branch manager at the bank’s New Lisbon branch. A Wisconsin native, Jeri enjoys cheering on the Packers and rooting for the Badgers. Her passions include her faith, her family and working with her customers. She enjoys meeting and getting to know new people, vacationing to warmer destinations during the cold Wisconsin winters, exploring new places and reading. If you asked her family and friends, they’d tell you that she’s happy, honest and one of the most caring people you’ll meet. Ryan began his agriculture career growing up on his family's dairy farm and quickly developed a deep interest in the agriculture industry. 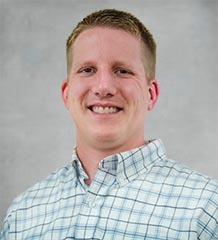 Upon graduating from Winona State University, Ryan began his ag lending career in the Kendall, Wis. area, gained experience with the United States Department of Agriculture Farm Service Agency and joined Royal Bank as an ag loan officer in 2012. Ryan has always enjoyed volunteerism and giving back to his communities and has served as JV girls basketball coach at his alma mater, Royall High School, helping out at local school events and is strongly active in his church. Having grown up in Wisconsin, Ryan rarely misses an opportunity to cheer on the Packers, Badgers and Brewers.